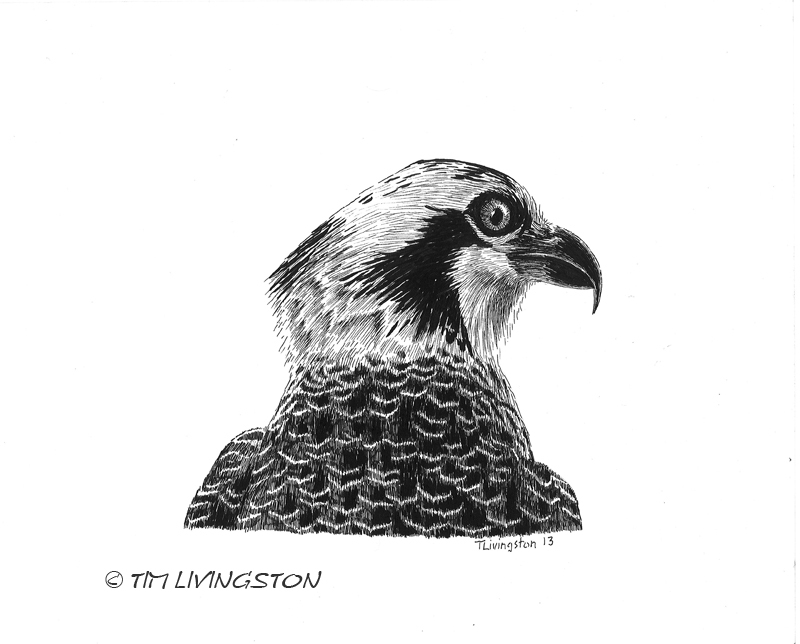 Osprey portrait in pen and ink. 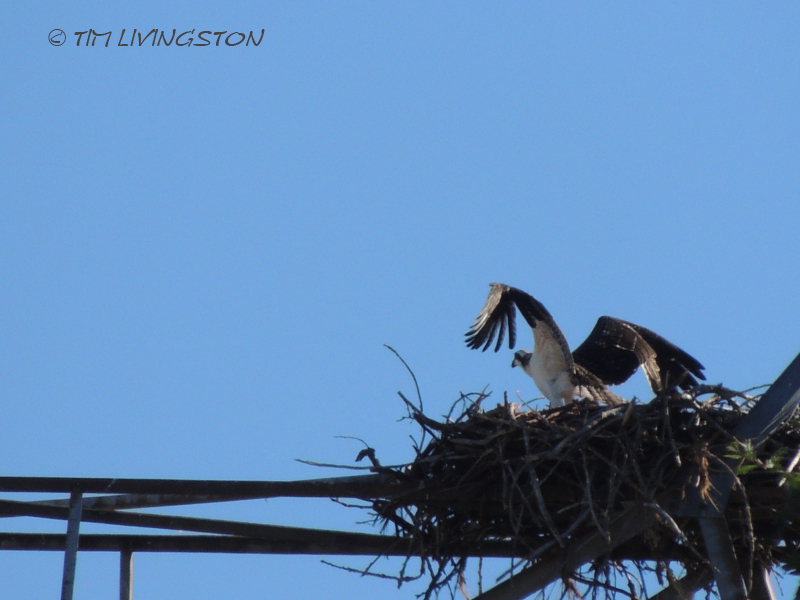 The osprey family has been quite busy lately. The young birds have been practicing for their first flight. The young osprey in training. The parents had been flying around the tower trying to entice the fledglings to take wing. This is how it’s done kids. Then the heat came. We had seven straight days over 108 and it peaked at 116. It was way too hot in the nest tower! Trying to assume a cool position in the tower. 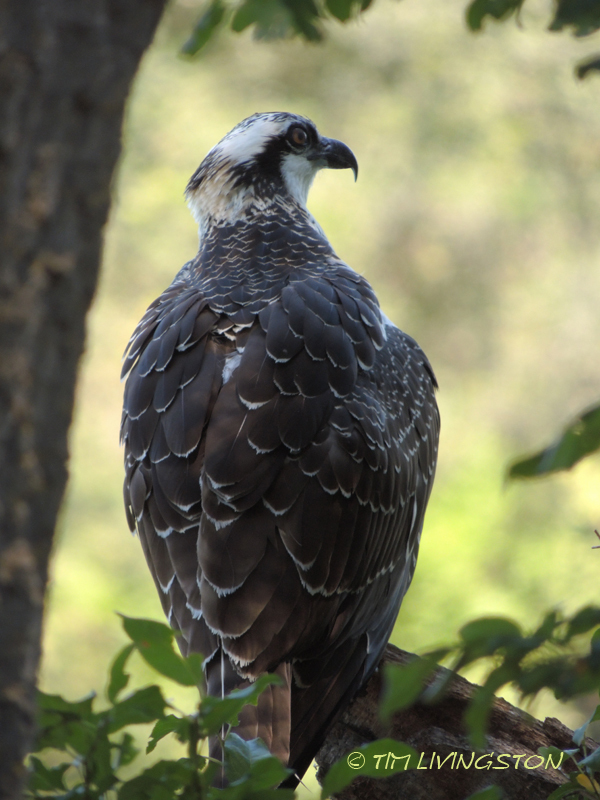 This was the incentive to motivate the young osprey to fly. After the first day of extreme heat, they fled the tower. 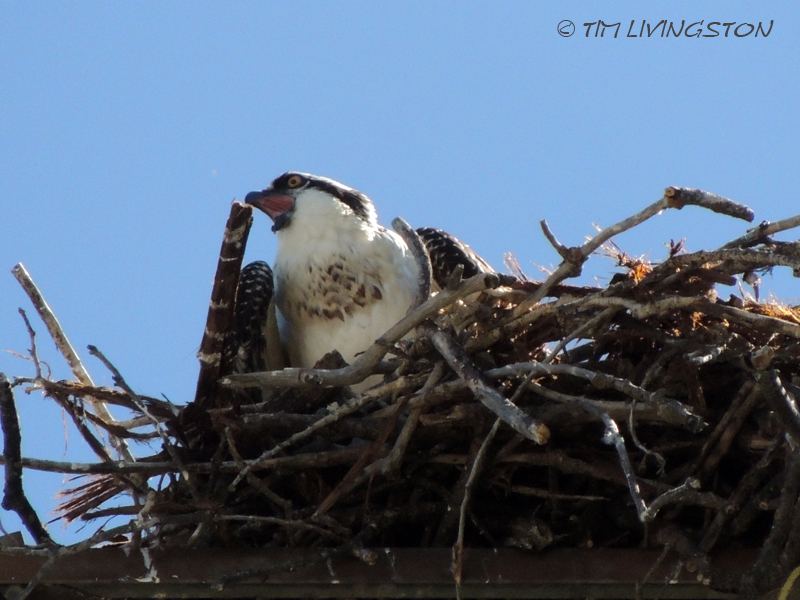 The osprey nest was finally empty. Down along the river in the shady oak trees is where they took refuge. This is much better than roasting in that steel tower. When the heat settled down, back to the tower they went. After, being in the tree I thought they might not return to the tower. As it turns out they weren’t entirely ready to give up the nest. The nest tower is still home. They still want to roost there at night, and they know this is where they get fed. They are like teenagers that still depend on mom and dad. When it’s time to eat, they tell their parents in no uncertain terms. The parents seem to debate each other whose turn it is to take care of the noisy offspring. They rarely go into the nest anymore unless they are dropping off a fresh fish meal. I fed them last time! This entry was posted in Wildlife, Wildlife At The Mill and tagged Forester Artist, nature, osprey, pen and ink, photography, wildlife by foresterartist. Bookmark the permalink. Wonderful, Tim. I particularly like the photo of the bird cooling himself on the tower. I’m glad you enjoyed it Julie. I’m not sure how well that position worked. I think shade would have been better. Great drawing Tim and beautiful pictures. So funny the young fellows who don’t want to leave home! Thank you. I would think they would be out exploring the world, but they still want to hang out at the nest. That’s what our children do sometimes lol..! Your captions are so fun! Wonderful drawing too! I especially liked the photo showing the “cool position.” It was unique. Thank you Linda. It was an unusual sight. I guess it didn’t want to leave the young ones alone, but wow was it hot! I will email you today about the post for next week. Thanks very much. Looking forward to it! Thank you Scott. I was trying out a new set of pens and was pretty happy with them. The birds are still hanging out at the nest. They haven’t learned how to fish on their own just yet. Thanks Doug, nice of you to stop by. They’re so lovely; it’s been great watching them grow through your posts 🙂 The shot in the trees is fantastic! Just like a kid, wasn’t it. I think the free lunches are about over. The drawing is wonderful. I love the pen and ink effect. Thanks Ruth. I know, just when you think they’re gone, they come back! Great images Tim! Your sketch is fantastic too. Thanks for all the updates on progress at the tower nest! Thanks Susan. It’s been fun following their progress. Fantastic pen and ink drawing! 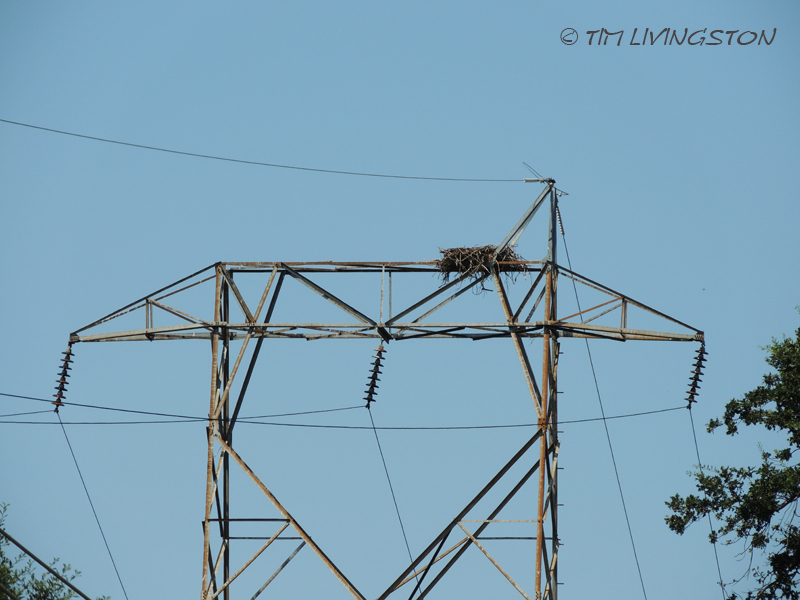 Enjoyed reading your update on the tower nest. Thank you Mary. I keep thinking that they will be completely done soon, but this morning they are still up in the tower. Thank you – a fine drawing, fine photos and a fine post! 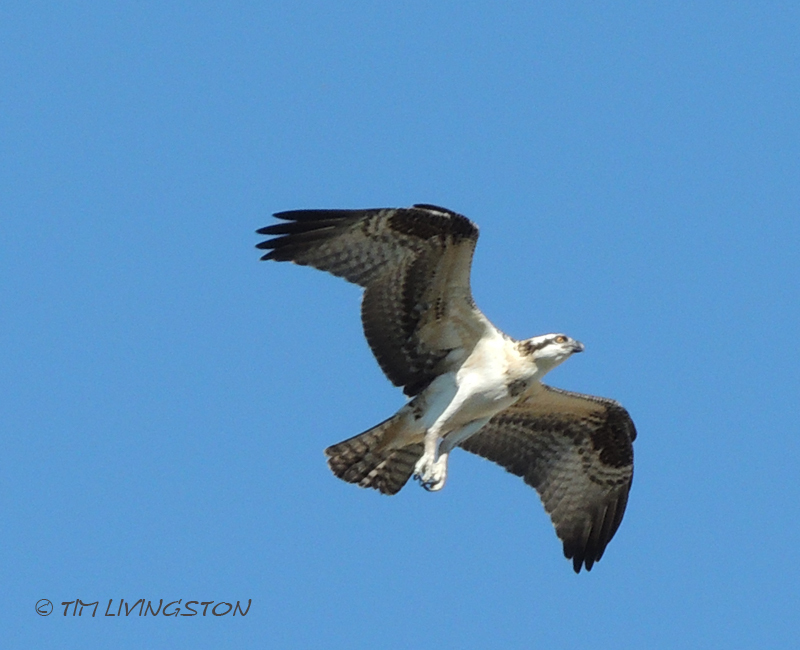 I missed seeing the osprey. I used to live in Florida where they were commonly seen around the high ways. Absolutely great drawing Tim! ! Thank you Ilex. Do you have them around your lakes or rivers? They are endangered here. There were 7 birds just released last weekend in a county next to mine to try to boost the population. I’ve never seen one here, but I will look for them now! That is cool that they released some nearby. We have more birds here than Carter has pills! Your pen and ink work is great! 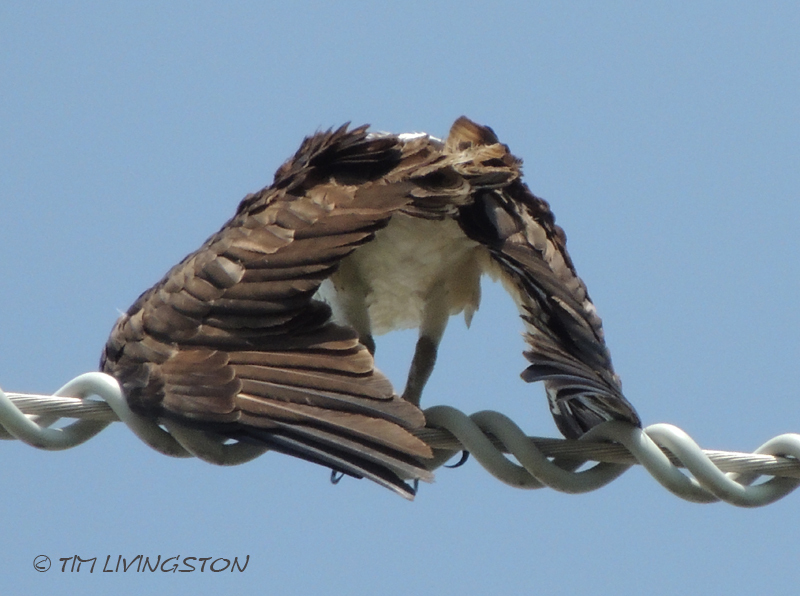 I have never seen ospreys this up close. Thanks for the article! Thank you so much Andelieya. Love the drawing and the update! Love you artwork!!!!! 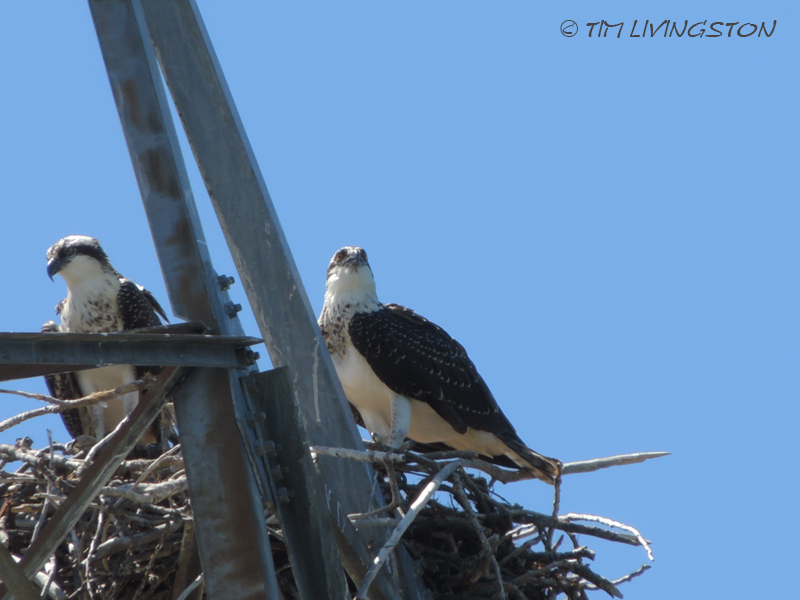 Love the Osprey family story….how neat to watch their behavior…! Thank you so much Suzanne! It’s has been fun to follow along this season. I’VE NEER SEEN OSPREYS THIS CLOSE-UP!!! I’ve been lucky to get so close to them. Thank you Megan. 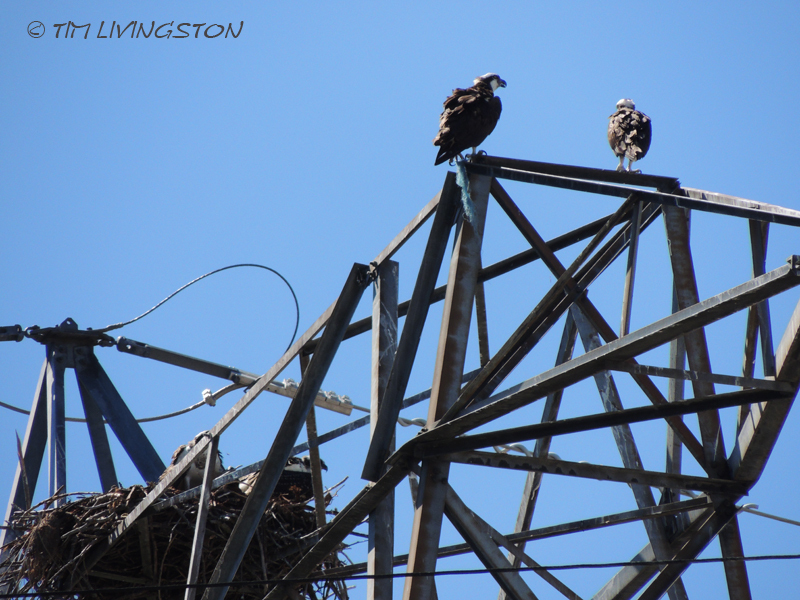 They are teenage osprey I believe. They get the free goodies, but all they do is complain. It’s like they think they are owed the royal treatment. Kind of like a certain gray feline we know! Well Teddy, teenagers and growing osprey are cut from the same cloth, apparently! Great photographs and I love your pen and ink portrait! Thank you so much Divya! Nice work with that beautiful bird. what an incredible world you live in! so much exciting inspiration around you. you ink drawings are beautiful, so much care and thought. Thanks for stopping by my blog too. Thank you Meegan. I am fortunate and I have great appreciation for that. I love your free flowing style. It is always fun to see what others are doing. I will have to spend some more time at your blog. i feel the same about yours – will visit more often too! Wonderful, wonderful drawing! Thank you so much for sharing this story I would have never seen, here. I get to watch the young robins return to nest in my pine tree where their nest is too small for them any longer. They are practicing flying and it has become rather noisy in my backyard, daily. A wonderful noise no doubt. Thanks you Leslie. Great photos and awesome narrative! I love the pen and ink portrait, too. Thank you so much Maxine. Do you draw birds an awful lot? I love birds, and I love drawing– what a perfect combination! 😀 And do you draw with only pen-and-ink? I suppose I do draw birds a lot. They are a good subject to do. I also have some other wildlife to post. I do prefer pen and ink, and watercolor. I always like the strong contrast with pen and ink over pencil. I do some pencil work, but mostly pen and ink, and watercolor. Ooh! Watercolor! I’m just starting to get into watercolor myself. 😀 It’s great fun. And so is pen-and-ink….I’m working on an illustration in pen and ink right now for a book. It’s so enjoyable! Thank you, sir! I look forward to drawing them! Love the pen & ink of the Osprey and the photograph too. Not doing so much myself now as arthritis rampant, but love to see your stuff. Thanks you so much. I’m sorry to hear about the arthritis. I hope you have a way to find some relief.